To celebrate the ten year anniversary since the creation of Bitcoin (BTC), a company known as Hublot is launching a limited edition watch. The watch – known as the Big Bang Meca-10 P2P – is available for purchase online using only Bitcoin. The watch will have the transaction number of the purchase engraved on the edge of the bezel: the grooved ring holding the cover of a watch face. Two versions of the watch can be found below courtesy of Hubolt. 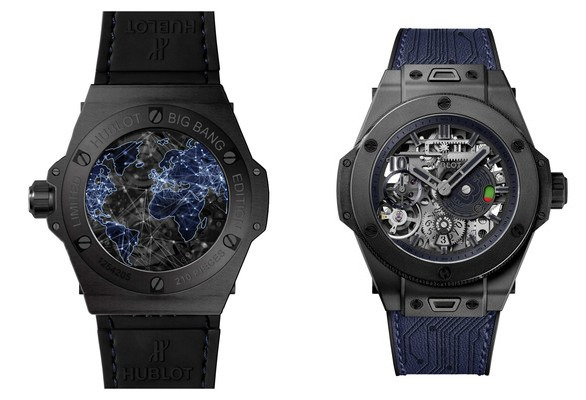 Ricardo Guadalupe, CEO of Hublot, stated the following about the limited edition product. OSL is excited to collaborate with Hublot and LVMH, an industry leader in the luxury world, to enable a digital asset industry first. As investors are increasingly looking to diversify their investment portfolio by adding digital assets with generally low correlations to traditional asset classes, we are committed to providing our clients with industry leading trading solutions to support their investment journey. The number of watches to be created will be 210. This number is significant in the sense that it is in reference to the 21 Million BTC supply cap coded into the Bitcoin network. Buyers can register to buy the timepieces on the dedicated Hublot website. Registrations for purchase began back in September. The timepieces were officially launched on the 6th of November with delivery to begin on the 3rd of January next year. The usual KYC (Know Your Customer) procedures apply when registering to purchase the limited edition watches. What are your thoughts on the limited edition watches by Hublot? Please let us know in the comment section below. The post This Limited Edition Watch Will Cost You $25,000 in Bitcoin (BTC) appeared first on Ethereum World News.